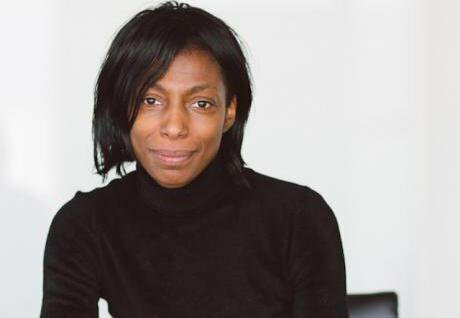 Sharon White, chief executive of the British media regulator Ofcom since March 2015.Ofcom.The one thing there is no shortage of in the UK Parliament is political meetings, select committee hearings and protests, demonstrations, petitions, arguments, consultations. Select committee reports can have their moment in the media if the findings are controversial enough, but for the most part when the meeting is over, or the protestors have gone home, any impact rapidly fades. The meeting that assembled in the Boothroyd room in Portcullis House, under the gaze of the former Speaker’s bust and portrait, the day before the BBC published its top talent pay details, may however turn out to be different. By any standards the title was unprepossessing, almost understated, giving little hint in advance of the passion that was unleashed: “The Urgency of Representation in the Media.” It could have been the title of a learned contribution to an obscure academic journal. But there are several clear reasons why the arguments set out in just over an hour, under the chairmanship of Channel 4 presenter Krishnan Guru-Murthy, might have a lasting effect. The meeting had a star, a minister, the support of cross-party MP’s, a strongly perceived sense of injustice that went beyond mere unfairness, and a well-honed and imminently achievable target, although a planned legal component was missing. A distinguished QC had been unable to take part at the last minute because she was in court. For Sir Lenny diversity is a necessity not a luxury, progress does not represent victory, and despite the fact that all the UK’s broadcasters now have diversity policies in place, the hard-earned progress could still come to nothing. Sir Lenny got straight to the heart of the matter, and what would become the target and crux of the meeting when he pointed out that Ofcom says it will set the BBC targets for on-screen diversity, but will not set similar targets for diversity behind the camera. “They suggest that as long as we have a BAME person on the TV screen, giving the appearance of diversity, then it is absolutely OK; even if those who create and make the content remain un-diverse. This is ‘Fake Diversity,” Sir Lenny argued. “You can have gay leads, black supporting actors or Asian protagonists but who was the cinematographer, the editor, the director, the producer or the commissioner? ” the comedian asked. If “the pickers and deciders” remain the same, nothing has really changed. Sir Lenny, as many others would go on to do at the meeting, questioned BBC claims that 14.5 per cent of its workforce was BAME. A large number in the overall percentage work in finance and legal departments and includes World Service staff. Remove them and the total is 9 per cent: but even that excludes independent productions and no-one knows BAME numbers for them. Sir Lenny noted that Directors UK, the professional association of TV and film directors, found that 1.5 per cent of programmes are directed by people of colour, a figure that is also probably close to the number of BAME people making the BBC programmes we all watch. Ofcom has successfully set targets for regional diversity – the proportion of programmes that have to be made outside London. set a minimum standard the BBC have to meet behind the camera. For God’s sake, all we’re asking, is to be given the same respect as Peppa Pig,” Sir Lenny Henry insisted. His remarks were well reported in The Guardian and Sir Lenny told Tom Bradby, the News at Ten anchor, in an interview, that measuring things leads to change. It was difficult to find coverage on the BBC or much in the national media, probably because of the gathering row over the huge disparities between male and female pay at the BBC. This was a fairness gap that also affected, to an even greater extent, the BBC’s BAME presenters and actors. The discomfort of the BBC, and the campaign by women to achieve pay parity, continues to dominate the headlines. But Sir Lenny’s “fake diversity,” – Milli Vanilli diversity he also called it – and the support he received, will continue to feed into an overarching narrative of the need for greater fairness in broadcasting across the board. The Minister – Digital Minister in the Department for Digital, Culture, Media and Sport Matt Hancock – said he had been delighted to launch Project Diamond, an attempt to provide detailed data on who is employed, both in front of, and behind, the camera. For Hancock the vision should be of strong bonds that tie us together in a dynamic, diverse, creative society, finding the best in all of us and looking out confidently to the world. “So let’s join together in this mission. Let’s make this vision a reality and let’s work together to put it in place,” said Hancock before leaving early for a planned meeting with Sharon White, chief executive of Ofcom. By contrast former Labour Culture minister David Lammy – in an eloquent testimony to the differential access afforded to ministers and ex-ministers – told how he had tried for the past 14 months, so far unsuccessfully, to meet Sharon White. The Labour MP was also worried that in the “complex diversity” of the current UK population many of his Kurdish or Somali constituents were increasingly turning to cable and satellite because they were not being satisfied by the offerings of the mainstream broadcasters. Ofcom said it did not think it “appropriate” to introduce targets for off-screen staff at this point. “I hate that term appropriate. I simple cannot understand it. I believe absolutely so passionately that it’s all about who is at the helm of TV companies,” Baroness Bonham-Carter explained. For Conservative MP Helen Grant the lack of diversity behind the camera which resulted in a skewing of productions and programmes, was also very bad for the BBC. “It’s a problem we haven’t come to terms with and we still haven’t got right. We have got to act and I would like to see Ofcom being brave and introducing the rules and the regulations. If they did that they would have a lot of support,” Helen Grant said. The diaspora of former Corporation BAME executives who now work elsewhere, was represented by Marcus Ryder, former head of current affairs at BBC Scotland, who now works for China Central Television in Beijing. Ryder, who flew from China to support Sir Lenny’s campaign, told how he had had to commission a series of documentaries on the Scottish referendum at short notice and how half of them had been made, and made well, by people of colour. “ I was short of time. They were the only people who were free and I knew they were always free,” said Ryder pointedly. He told of “another brilliant director” Jay Mukuro and how everyone said how great it was that Ryder had given him a chance, because he was excellent. “All those executives controlling millions of pounds and they couldn’t find a chance for him,” noted Ryder who added that Mukuro, who died prematurely, as a result of how he was treated had also died unfulfilled. “It’s atrocious that Ofcom is now waiting to see. Everyone here has to wait and see. I am bored with waiting. If everyone here was going to have brilliant careers at the BBC we would still be there. Something is wrong if they feel the best place for their careers is not within the BBC,” the CCTV executive argued. Despite a wide range of views and, sometimes the atmosphere of an evangelical meeting, the chance of early progress on off- screen diversity probably turns on a single sentence in the BBC’s Royal Charter – and the legal interpretation of that sentence. Matt Hancock says the Government was determined to ensure that a broad diversity should be enshrined in the BBC Charter and that there was cross-party support for both on and off-screen diversity – just as the Government had been determined to ensure that the details of BBC salaries over £150,000 should be published. Perhaps in the end the more significant contribution on the central point at stake comes from the lawyer who was unable to attend the Boothroyd Room meeting. Karon Monaghan QC, a distinguished equality lawyer, is really in no doubt at all where Ofcom’s responsibilities now lie under the law. The communications regulator has general statutory obligations for equality of employment under the Communications Act 2003 – and responsibility for training and retraining, regulatory obligations now extended to the BBC. “There is no distinction made under the Act of employment between off-screen and on-screen and I am somewhat bemused as to why this distinction is even being drawn. In terms of Ofcom meeting its statutory obligation there is no distinction. I see no distinction because there is none,” Monaghan insists. The QC believes you change the nature of the workforce in any industry, not just broadcasting, and you change the nature of what is produced in a positive way. Only one senior broadcasting executive attended the meeting, although the event was only promoted on Twitter and no-one apart from the main speakers was specifically invited. The executive, Dan Brooke, Channel 4’s chief marketing and communications officer, said that the channel had taken a more systematic approach to diversity over the past few years, motivated by “the kick up the arse Lenny has given the whole industry”. But he conceded there was more to do. Broadcaster and DJ Edward Adoo appealed for a radio perspective on diversity, asking not just about what the BBC is doing but also the big commercial brands such as Global, Capital and Heart. “If we are going to have this discussion we need to open other doors and assess and analyse what other broadcasters are doing,” added Adoo who broadcasts for BBC Three Counties Radio. Ring-fencing was important because the danger was that top executives would continue to reintroduce further schemes and initiatives which were little more than avoidance techniques. Producer Barbara Emile also placed stress on the power of the financial imperative to change things through the ring-fencing of money. “It’s supply and demand and we are here to make money. The truth is if broadcasters say there is demand believe me the supply will be there,” Emile argued. There was one more pop at the willingness of Sharon White to engage, or rather not engage, with her BAME critics. Simon Albury, who chairs the Campaign for Broadcasting Equality and has been a successful campaigner for broadcasting quality in the past, told how White had been invited 14 months ago to speak at a TV collective CBE event – entrance fee £10 a head. She hasn’t come although the invitation remains open. In September the Ofcom chief executive will speak at the RTS’s Cambridge convention which costs £2,200. “I think it tells you something about Ofcom that when they have the opportunity to meet with a BAME audience they don’t take it,” said Albury, former chief executive of the RTS. As for Ofcom, there is the insistence that the end of the story on its views on off-screen regulation has not yet been reached, with final decisions still to be taken after the end of the consultation period. There are signs though of a possible shift in the regulator’s attitude. “We will hold the BBC to account for improving its diversity, and that includes on-screen portrayal as well as diversity off-screen,” an Ofcom spokesperson insists. Ofcom added that each year the BBC will be required to set out and agree with the regulator how it is making its commissioning more diverse, and the BBC has responded by setting diversity workforce targets. Digital Minister Hancock promised to take the passion of the Boothroyd Room meeting direct to his session with Sharon White and noted that select committees had the power to call anyone they wanted to hear from. The MPs present said they would continue to meet and monitor the off-screen diversity issue and to varying degrees they favoured ring-fencing to ensure progress. Grant said she too was in favour of ring-fencing because it was good for measuring and monitoring, although something more fundamental was also needed – the complete rewiring of organisations where people are recruited not because of a target but because they have the right skills. Later, Marcus Ryder analysed the BBC’s latest figures on disability and BAME employment revealed in the BBC’s Annual Review, and found surprising statistics. After hovering at around 3.6 per cent of staff in recent years the disability percentage suddenly shot up in 2016 to 10.2 per cent even though more disabled people left the BBC last year than joined. Ryder says he does not know how there could have been such a “whopping” rise in a single year. The day after the Sir Lenny Henry meeting the BBC published a BAME figure of 14.5 per cent for its workforce – higher than the BAME percentage in the UK population. In the Network News division the figure was no less than 14.8 per cent, although as mentioned at the meeting, the figures are skewed by including the BBC World Service which has a 54.2 per cent BAME workforce. BBC Worldwide, the commercial arm of the Corporation, and the Director General’s Office Group are also included yet have few staff directly involved in mainstream programme-making. For Ryder the question is whether the BBC is, by issuing high diversity figures, hoping to avoid Ofcom issuing enforceable off-screen targets? Meanwhile Simon Albury has submitted the CBE’s final submission to the Ofcom consultation and concludes that Ofcom should no longer wait and see how the BBC responds to its new statutory responsibilities. The CBE argues that the BBC has failed in its annual plan to set credible goals on diversity based on credible data. For Sir Lenny Henry in his submission to Ofcom the important point is that diversity requirements must be objective and relate to programme spend, programme hours and staff levels. However, the last words on diversity, both on and off-screen, fake and real, regulation and consultation should go to Karon Monaghan QC. “ I think one could say if they (Ofcom) are not very careful they could find themselves in difficulties so far as equality obligations are concerned, ” Monaghan suggests, while setting out necessary legal caveats in advance of knowing precisely how Ofcom’s consultation was conducted and concluded. “If you could say, look it is apparent from the outcome of this process they simply have not had proper regard to their statutory duties then you may get a judicial review off the ground,” Karon Monaghan QC warned. If such a thing should prove necessary and come to pass, it is an outcome that would prove popular with the BAME broadcasters and supporters who crowded into the meeting in the Boothroyd Room in Portcullis House.